How do you see a job proposition with the prospects of a salary hike not more than once In a decade? Possibly, your heart will go out for such under-paid employees, isn’t it? The government plans to move a bill to hike the salaries of 795 Members of Parliament (MPs) very soon. Well, no points for guessing that this is one such bill that will not meet any kind of resistance from the opposition parties. In fact, not surprisingly, there is an all-party consensus demanding that lawmakers be given a salary on par with secretaries to the government of India at Rs. 80,000 per month. Reportedly, MPs have proposed a five-fold increase in salary from Rs. 16,000 per month to Rs. 60,000. Well, who knows – they might just land up with little more than double of their prevailing salary structure. 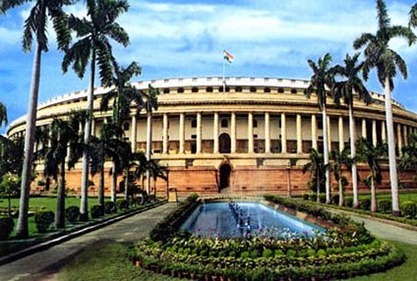 However, the MPs have confronted saying that as per the warrant of precedence (or the list of protocol) – wherein MPs are enlisted at a higher 21st rank as against 23rd for secretaries – they are equivalent to secretary-level officers (in fact, even above them), justifying their demand for an equivalent salary hike. My question to readers is – Isn’t such ridiculously low salary levels for the MPs one of the prime factors responsible for the rampant corruption? Inadvertently, such low salary structures will act as a root cause for the spread of under-the-table payment practices. Well, its not that the salary structure of these MPs are limited to the basic salary of Rs.16,000 only as mentioned above. They are also entitled to constituency allowance of Rs.20,000 per month, apart from an equal amount for office expenses allowance as well. An MP also gets a daily allowance of Rs.1000 for each day when Parliament is in session. Well, what surprises me is how can some of the allowances mentioned above, be more than the base salary of Rs.16000 for the Members of Parliament? This brings me to conclusion that either their basic salary is under-stated or their allowances and perks are over-stated. Definitely, going by the costs related to security, troupes, tours and most of all ever rising cost of living and the wage index for skilled urban labour – it’s the basic salary structure that seems to be screwed rather than the allowance and the perk categories. In my opinion, the government should really call for an annual appraisal policy system, mostly linked with the issuance of report card based on performance – rather than a status quo policy on salary amendments for years together. Well, I am sure most of our readers might be feeling strongly on this issue – with arguments revolving around deeply-rooted corrupt MPs eating into crores of public earnings and revenues. When we speak about MPs, a raging picture of fighting Lok Sabha and Rajya Sabha members evolves in-front of our eyes, ultimately leading to waste of nation’s time and adjournment of proceedings. But, a point to consider is, if the salaries of public servants are as low as Rs.16000 – Won’t such rampant corruption and out-of-pocket demand for under-the-table briberies prevail and weaken the roots of the system from within? But, in return of an appropriate salary hike, we citizens would demand from them regular attendance in the House when in session and a loyal catering in form of public services. I know, this is too much for asking in a bid to cleanse the system, but the push needs to happen from somewhere – from where it really matters – the ’M’ tablet. Jokes apart, their salary may be revised, but then its not just the base salary but overall packages. that is salary plus the allowances. How come the base salary be 16K and office allow approx 30K? Constituency allowances can only be availa, if they visit the place. and may be introduce some kind of BONUS system per anum or every 6 months based on their performance. @Pradeep… That is what is surprising me, how come the basic salary be lower be than the allowances and perquisites? The same has been pointed out in my article above. Any Babus out over there? Politicians deserve a better salary, but it should not be too good. The idea of having a variable pay is good but this would start another corrupt department. Politicians are public servants. They are elected by people to serve the people not to serve themselves. They should always remember this. It is unfortunate for indians that there is no person they can vote for who is not corrupt. I find no politician in india who cares for the country. Everybody is making busy making money in swiss accounts. I dont know how much the congress party pocketed for sanctioning the nuclear power reactors in india. India has only 5% deficit of electricity and for that we dont need 50% more electricity. Nuclear wastes and in effects will rule india. I really don\’t unnsretadd people in my work who use these same excuses. Things like \’it\’s too expensive to put 6% away\’. I tell them to start at 1% just to get it going so that when they move up 1% a quarter later it\’s already set up and ready to go. After the tax adjustment they will only be down like 0.8% on their actual take home pay . . . if you can\’t afford that you have severe problems.Our work does a nice simple 100% match up to 6% of your pay. After tax it works out to about 5% of your pay in \’real cost to you\’ and you are putting away 12% of your salary. Most finance books recommend you put away at least 10% and you\’ll do OK, at 12% you\’ll probably be comfortable for a long long time in your retirement if you start early enough. Since where I work the majority of people are younger (< 30 crowd) most of them just don\'t get it. These are the people that the tax dollars from my RRSP withdrawals will be paying GIS benefits to later in life, and it makes me sick to my stomach that they can just sit there and do nothing about their lives and we all get to pay for it when the opportunity to not leech off society is right in front of them. Amazing discussion. I am sure every Indian would have views on this. There is no harm in giving politicians that kind of salary, but only if this is the only saary which they would be drawing. (Now this is another big debate). If we want to provide politicians with higher salaries, then why not get people who are worth those kind of salaries for this profession. How about fixing a basic education level, crime free background, etc. @dreamz2achieve… Surprisingly, we’ve come across open-minded views on this highly debatable-post. I expected many voices against this view of mine as a mark of frustration against the corrupted political system. In fact, what you’ve told is perfectly correct as in this is the kind of income they (politicians) might be already drawing from the system (probably, lots more than this). But, it is better to legalise such pay-outs rather than encouraging such accumulations via black money transfers and bribery. Congrats Viral for coming up with well-articulated thoughts on an issue as important as this! I don’t think there is any harm in disproportionately high increase in compensation paid to the MPs. But, a major portion of this increase should be made variable in line with the performance of these MPs. In case, they damage the public property (flower pots for instance) as done by the lady Congress MLA from Bihar assembly or in case they almost always remain absent like DMK MP & Union Minister Alagiri when parliament sessions are in progress, they should be made to pay a penalty for it. Also, the number of corruption cases pending against the MPs is another factor which should be taken into account while giving MPs the variable pay-out. Agreed Varun… only the responsible and productive politicians should be offered the requisite goodies. Like any other profession, even politians should be barred from sustaining in this field, if they show dissent or damaging acts. Nice examples provided by you from real life! The figure 1,000 crores I arrived is as per an email which is circulating. I am writing the contents of the same here. Now if u consider 795 MPs, total expense is 1,272 crores at a saalry of Rs.12,000/pm. If their salary becomes Rs.60,000/pm the expences will be Rs.6,360 crores!! 1. “If you pay peanuts, all you get is monkeys to work for you” By this logic we should increase the salaries of MPs so that they dont have to depend on black deals to earn money. 2. As the politicians claim to be doing public service, so they need not be paid ‘salary’. Let them do it for free. I dont think they will ever change in looting the nation but atleast we can save more than 1,272 crores per year which can be used for better causes. Believe me if salary for this pathetic lot is cut, except for 1 or 2 crazy guys, none of the 795 MPs will suffer. What we can do with 1,272 crores per year? 1. Install a 250 MW coal fired power plant per year. 2. Lay 250 KM of 6 lane high way per year. 3. Conduct open heart surgery for 25,000 poor people per year. These my two cents (err sorry paisa). Correct me if I am wrong. I think they are really underpaid. And if we count their allowances or the security costs as part of their salary, that’s wrong. Because they should be protected for us. Otherwise please think seriously who will run the country? Or can we afford the re-elections each time? And also we shouldn’t consider the corruption they do as the part of their salary; if that’s what we do, we are supporting the corruption! Also the other personal allowances are not much, a good entry level Software engineer will spend that amount in a day! It’s great for a politician to be a ‘no-wage-worker’, but that’s not good for us, mere deshbhakti and respect won’t get them bread and butter and how come then we expect the intelligents to enter in politics. If a 30+ aged “non-corrupt” politician is an MP/MLA I think he will earn more in Business than in politics! Imagine the efforts he has to take, the strategies that he has to implement we can’t just say it a Jugad! If it’s that, then businesses in India don’t do anything different. I hope the new-India should consider the other side of the table. Agreed Desithinkers… There should be good enough impetus even for the Political field in terms of remuneration, if the country wants streamlining of new non-corrupt youngsters to venture as prospective political youth candidates. No doubt, even without such lucrative remunerations, there will never be dearth of candidates to work for people, but they shall come at the lure of black money and at a bigger cost. That’s true and I agree with it! How can we let a 12k earning guy to decide about our millions. That’s why I say we as new gen should consider the another side of the table. We looked at politicians like the No-wage-workers, and lot many who had passion to be in this filed went to be managers, IAS, software engineers, because Politics in ‘pure’ sense is low paying job and Most risky thank running a startup! I wish my new India a very best luck.